Birthdays, Weddings, Showers, Surprises and More! Make your next party an event people talk about for years to come! The key: A fun theme! Don't settle for parties you can 'buy in a box.' Consider a unique approach. Contact My Big Day and use our creative expertise, years of experience, and many contacts to create an event your friends and family can't stop talking about! 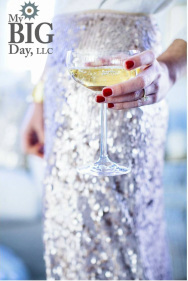 We are the event experts of the front range! Our attention to detail is what makes our parties something people rave about. In addition to our party planning, we also have a large number of event rentals, which we only offer to our clients! With affordable pricing, you can't afford NOT to hire us for your event! CLICK HERE to view our low-cost event rentals. We have TONS of party ideas on Pinterest! FOLLOW US!